Judging by feather development, these guys are about two weeks old. I think the larger, more developed squab in the back is a male, and the lighter one in front is a female. That’s how it’s supposed to work with pigeons, anyway. 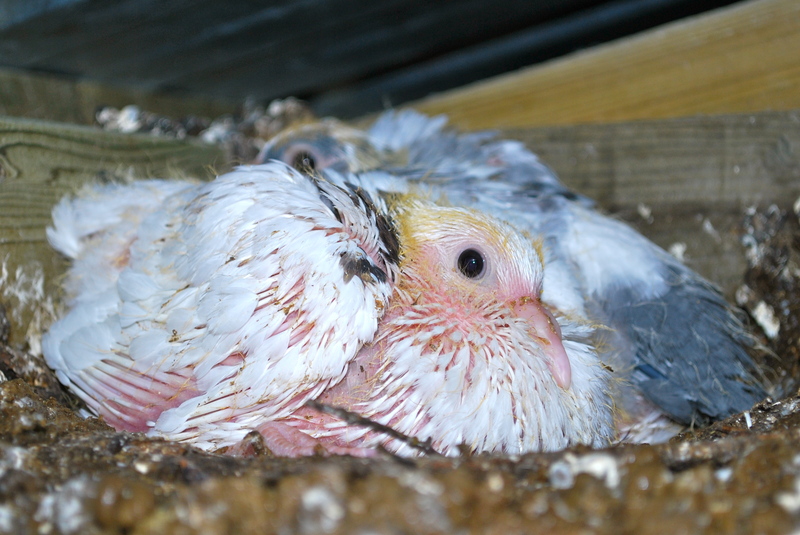 This entry was posted in homing pigeons and tagged baby pigeons. Bookmark the permalink. Like a cross between chickens and vultures!